All you need is love -- and a sale! The artwork above uses one of those brand new stamps: All you need is love (#SD565). 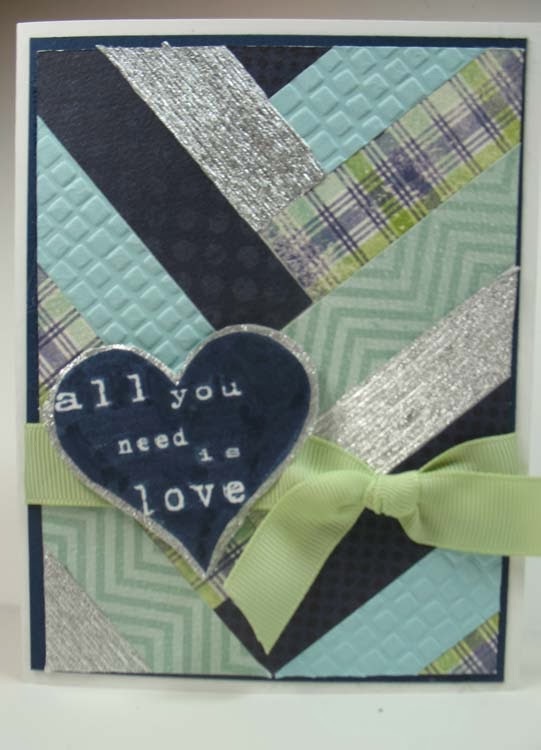 I used the Braided Paper Technique from the Designer Paper Perfection CD, too. I am teaching this technique a few times this year at various trade shows, too! This sale ends on Valentines Day -- but hurry! You will want to get these stamps in hand so that you can send some paper love to those you care about. On a personal note, I cannot believe how many months it has been since I have been able to post to this blog. With the purchase of Stamp Camp, continuing to work on Tutorials for the Newsletter and CDs, the holidays and getting sick, my time is at a premium. I love it all, though, and cannot wait to show you what I have in store for the remainder of the year! Thanks for coming along for the ride.